They say love defies all reasons. Well, so do breakups. Some relationships are just not meant to be. What appears to be perfect is far from it! Let’s look at some of the Most Unexpected Bollywood Celebrity Breakups, the ones that we never saw coming. Just a week before his 13th wedding anniversary which falls on December 20, Hrithik Roshan, announced something that shocked his fans all over the world. The golden couple of Bollywood, Hrithik and Sussanne, had decided to end their 17 year long relationship, which includes 4 years of their courtship. It was the most heartbreaking and such an unexpected breakup! There’s would have been the marriage between Bollywood’s two biggest families. After staying engaged for 4 months, the celebrity couple Karisma Kapoor and Abhishek Bachchan split up. Calling off their engagement, came as a big surprise! This lovey-dovey couple was in a stable relationship. They were together for nearly 5 years, Kareena Kapoor and Shahid Kapur’s relationship was talk of the town. People were expecting them to tie the knot together and then came their infamous split which shocked one and all. Ironically, the news of their separation came just around the release of their most successful film as a pair. She a dazzling beauty and an actress par excellence and he a golfer of international repute. Together they made up the most celebrated couple of Bollywood and the sports world .Their paradise showed cracks when Chitrangada Singh and Jyoti Singh Randhawa’s marriage of 12 years ended with a divorce by mutual consent. They say that there’s was a very impulsive marriage. 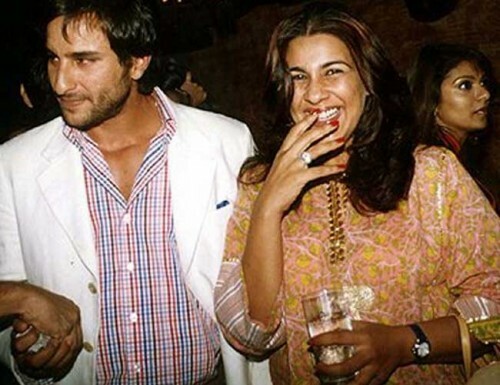 A 21 year old Saif, married Amrita Singh, 12 years his senior, the entire industry was shocked. 13 years later and with 2 children, they decided to part ways with dignity. There’s was a fairy tale romance between a top actress and a top businessman. They were not only so much in love but took their relationship to the next level by being the co-owners of Indian Premier League team Kings XI Punjab. Preity Zinta and Ness Wadia’s relationship lasted nearly a decade and came to an ugly and sad end in 2009 that shocked everyone. Deepika Padukone and Ranbir Kapoor were allegedly madly in love and were the hottest young couple of the B-town, before they sadly broke up. The actress had inked the initials, RK on the nape of her neck! The duo continue to work together despite their personal split! They had the longest rock-solid live-in relationships in Bollywood. John Abraham and Bipasha, the sexiest Bollywood couple decided to call it quits after being in a relationship for a decade. Their sudden break-up came as a shock to everybody. While Bipasha has always been vocal about her break-up, John had chosen to be quiet about it John’s commitment issues were cited as the reason for their split. Ironically, John is married to an investment banker now, while Bipasha is still single. He was Bollywood’s first bonafide superstar and she became a superstar after her first movie, Bobby too. 15 years her senior, Rajesh Khanna and Dimple Kapadia tied the knot in 1973, when she was just 16. 11 years of togetherness and 2 daughters later, they split and started living separately though they never filed for divorce! When Aamir Khan separated from his childhood sweetheart and wife of 15 years, it came as a big shock. They have 2 kids. They divorced in 2002. So the personal life of Mr Perfectionist was not so perfect after all. But the duo continue to be good friends. Now that’s something! 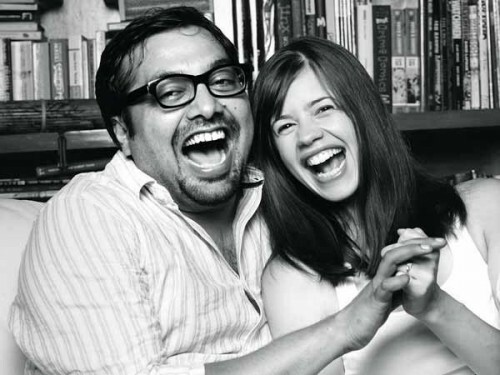 Kalki Koechlin, who made her Bollywood debut with 2009 hit movie ‘Dev D’, tied the knot with Anurag Kashyap in 2011 and got divorced in 2013. 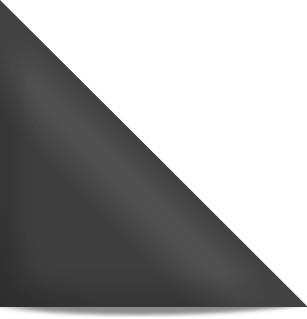 The duo maintain a cordial relationship and say that they love each other very much. Karisma Kapoor and Delhi based businessman, Sunjay Kapur had a fairy tale wedding ceremony. But mutual differences, extra martial affair and different lifestyles and living environment turned their marriage on the rocks from the very beginning. The couple lived separately for 7 years and finally divorced in 2014. Lara Dutta and Kelly were a committed couple and their relationship was an inspiration. they were a couple since modelling days. Their 12 year long relationship abruptly came to an end and surprised everyone. While Lara is now happily married to tennis player Mahesh Bhupathi and is a proud mommy, Kelly is hardly seen anywhere. Some other controversial relationships in Bollywood, which had a sad end, are Sarika and Kamal Hassan, Mahima Chaudhary and Leander Paes and Sanjay and Rhea Pillai. According you which were the Most Unexpected Bollywood Celebrity Breakups? Share it in the comments box below!